Used appropriately, medicines can improve our lives. When misused and abused, however, the consequences can be devastating. The overprescribing and misuse of prescription pain relievers has been a major cause of today’s epidemic of opioid addiction and overdose deaths, with four out of five heroin users reporting that they misused prescription opioids before using heroin. This overview is intended to help you know what questions to ask when a healthcare provider recommends or prescribes a pain reliever for your child, and how to be sure that your child takes the medication as prescribed without misusing the medication or sharing it with others. What are some common opioid pain relievers? There are also non-opioid pain relievers (gabapentin, for example) that also have a potential for misuse and abuse, but much lower than that of opioids. Why is the Misuse of Prescription Pain Relievers So Dangerous? Opioid pain relievers are powerful drugs — very similar to heroin in their chemical makeup, and habit-forming by their very nature. This is why the U.S. Centers for Disease Control (CDC) strongly recommends against the prescribing of opioids for long-term treatment of chronic pain. Even for treatment of acute (short term) pain, opioid pain relievers should only be prescribed and taken sparingly. The risk of addiction is particularly concerning when the patient is a teen or young adult because their brains are still developing and therefore biologically predisposed to experimentation. So if your teen or young adult is prescribed opioid pain relievers,you or your child’s caregiver should control the medication, dispense it only as prescribed and monitor their children closely for signs of misuse or growing dependence. In addition to the danger of dependence, misuse of opioids can cause dramatic increases in blood pressure and heart rate, organ damage, difficulty breathing, seizures and even death. Why Would a Young Person be Prescribed an Opioid Pain Reliever? Opioid pain relievers are most often prescribed following surgery or to treat cancer pain –- so many young people will not be in a position to be prescribed opioids. But opioids may be prescribed for young peoplein the event of accidental injury -– a sports-related injury, for example, or a biking accident in which a fracture or even a severe sprain occurs. Another reason for which opioids are often prescribed to young people is oral surgery to remove wisdom teeth. Additionally, there are other ailments –- sickle cell disease or other pediatric chronic pain conditions –- for which opioids may be recommended. What Questions Should You Ask Your Child’s Healthcare Provider When an Opioid Pain Reliever is Recommended or Prescribed? Is a prescription opioid necessary to treat my child’s pain? Might an over the counter (OTC) pain reliever such as acetaminophen (e.g., Tylenol), in combination with a non-steroidal anti-inflammatory drug (NSAID) be just as effective? For chronic pain, can we explore alternative treatments such as physical therapy, acupuncture, biofeedback or massage? How many pills are being prescribed, and over how long a period? Is it necessary to prescribe this quantity of pills? What Should You Do if an Opioid Pain Reliever Has Been Prescribed for Your Child? 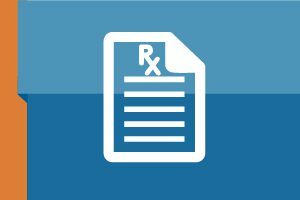 Safeguard medication at home – i.e., don’t just leave it in the medicine cabinet where anyone, family or visitors, can access it. Dispose of unused medication at a local “takeback” event or -– as an alternative where no takeback opportunities exist — by mixing the medication with coffee grounds or other unpleasant garbage and throwing it out. As mentioned above, supervise the dispensing of the medication, counting the pills in the bottle to be sure they are being taken as prescribed. Clearly document when the prescription was filled and when a refill will be needed -– and be suspicious of any missing medication. Communicate with your child about the risks of misuse, and be very clear that the medication is not to be shared with others. Communicate regularly with your child about the level of pain he/she is feeling, making sure the pain is diminishing with time and staying alert for any signs that your child is growing dependent on the medication. What Signs of Misuse or Dependence Should a Parent Be Alert For? Signs of misuse can include drowsiness, nausea, constipation, slowed breathing and slurred speech. You should be concerned if your child is asking for pain medication more frequently than prescribed, or if he/she is insistent on refilling the prescription. If necessary, the prescriber should be consulted to determine if pain is persisting beyond its expected term. Signs of withdrawal –- which would occur if a child has become dependent on an opioid and then stops taking it –- include anxiety, irritability, loss of appetite, craving for the drug, runny nose, sweating, vomiting and diarrhea. If you are concerned that your child may be dependent on pain medication, consult the prescriber (who may in turn consult with a pain specialist), and they should also consider having a substance use counselor complete an assessment. An assessment should include a thorough look at the extent of your child’s drug and alcohol use, his/her mental and physical health as well as personal, medical and family history. 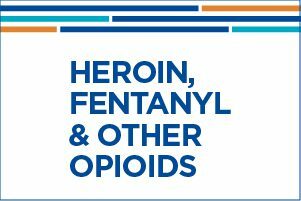 Get a comprehensive overview of the opioid epidemic — how opioids affect the body, the risks involved and how you can help your family stay safe. This post was originally published in July 2018 and has been refreshed for content. Thanks for your message Lucretia. We have forwarded your message to one of our helpline specialists who can help better answer your question, and she will be reaching out to you shortly. Our Helpline is a good place to start if you’d like to talk to someone about what you’re going through. Feel free to connect with us in whichever manner you choose in the future: https://drugfree.org/helpline.